March 23rd marks the first anniversary of the health care reform law. Health care reform is good for people and good for Medicare. It provides a boost for Medicare solvency and adds important benefits for Medicare beneficiaries. It also provides new coverage for sick children and for uninsured young adults. In these ways, older people, people with disabilities and their families are already benefiting from health care reform; they stand to gain even more in the years ahead. Unfortunately, efforts to repeal the law and to stop funding its implementation, threaten the future of Medicare and the improved benefits for Medicare beneficiaries and their families. •	Medicare beneficiaries no longer have to pay for preventive services such as mammographies, prostate screenings, glaucoma screenings, and diabetes management. •	Medicare beneficiaries are now able to have an annual wellness visit and to develop a health plan with their physicians. •	Medicare beneficiaries with particularly high medication needs are paying less for their medicines. •	Major efforts to eliminate fraud and waste in Medicare are underway. •	Billions of dollars in overpayments to private Medicare Advantage (MA) health plans are being phased out; while bonuses will be paid for those MA plans that do a laudable job. •	The long-term solvency of the Medicare program has been extended by approximately 12 years, until 2029. •	Families also benefit because older and disabled people have better Medicare coverage and security, insurance companies are prohibited from denying access to children with pre-existing conditions, and young adults up to age 26 can now get coverage under their parents’ health insurance. All these benefits will end if the bills in Congress to de-fund health care reform pass, or repeal efforts succeed. The myriad additional benefits going into effect between now and 2014, when health care reform is fully implemented, will disappear. Medicare costs to taxpayers and beneficiaries alike will increase dramatically and the Medicare program itself will be in jeopardy. Health care reform is good for Medicare, good for Medicare beneficiaries, and good for families. Funding and implementation of the law should proceed. 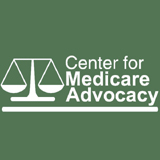 The Center for Medicare Advocacy reiterates last week’s New York Times story: the Medicare Improvement Standard is an unjust danger to people in need of care! July 30th marks the 45th anniversary of Medicare. When President Johnson signed the Medicare program into law in 1965, he ushered in an era of better health and financial security for older Americans and their families. Medicare did what private insurance failed to do – provide health coverage for people age 65 and older. Over the years Medicare was expanded to cover other people not popular with private insurance: people with disabilities, End Stage Renal Disease and Amyotrophic Lateral Sclerosis (also known as Lou Gehrig’s Disease). Today, 47 million older and disabled people receive health insurance and access to health care through Medicare. In 2010, when President Obama signed the Affordable Care Act (ACA) into law (also known as the health care reform law), he helped ensure a brighter financial future for Medicare, better coverage for beneficiaries, and reduced costs for beneficiaries and taxpayers. Health care reform will extend the solvency of the Medicare Trust Fund by about twelve years, add preventive benefits without cost-sharing for beneficiaries, and improve the Part D prescription drug program. It will likely result in reduced Part B premiums for most beneficiaries. Health care reform will also slow the privatization of Medicare that over the past decade has added costs without corresponding benefit. In 2010, therefore, it’s particularly important to remember and celebrate the effect that Medicare has had on this country, and its importance to the daily lives of millions of Americans. We forget what it was like before Medicare (and Social Security and Medicaid). Before Medicare, half of all older people had no insurance. Private insurance companies did not want to cover this population because of their age and chronic conditions. When health insurance was available, many older people could not afford it. In 1965, 25% of Medicare beneficiaries lived in poverty. Medicare has enhanced the health and financial security of older people and their families; they no longer have to worry about paying for catastrophic medical costs. Because of Medicare, virtually all Americans age 65 or older are insured. Medicare has had a remarkably broad, positive impact on the country’s well-being in so many ways. Did you know, for example, that by refusing to pay for care at segregated facilities, Medicare helped desegregate hospitals and other health care institutions? Today, traditional Medicare continues to be one of the most flexible health insurance programs available. The program covers care provided by a broad array of doctors, hospitals, home health agencies and other health care providers. The 75% of Medicare beneficiaries who are currently in the traditional Medicare program can choose virtually any doctor, hospital, or other provider that accepts Medicare, anywhere in the country. Further, unlike people who receive health insurance through private insurance coverage, Medicare beneficiaries don’t have to worry about having their health insurance rescinded if they become sick or file “too many” claims. Nor will Medicare exclude coverage based on a pre-existing condition or impose annual or life-time payment caps. It’s no wonder that Medicare is very popular with the people it serves. In fact, Medicare beneficiaries rate their satisfaction with Medicare much higher than workers with employer-sponsored insurance rate their health care coverage, citing access to providers in particular. Despite Medicare’s success, however, it faces serious challenges and threats – some real, some imagined, some imposed. The increased role of Medicare private plans during the last decade took a toll on Medicare’s well-being. Private plans were paid approximately 14% more on average than traditional Medicare would have been paid to cover the same services. Fortunately, these overpayments will be gradually turned back, pursuant to the health care reform law, resulting in adding about twelve years to the solvency of the Medicare Trust Fund. Some policy-makers, however, including the bipartisan National Commission on Fiscal Responsibility and Reform, are focused on reducing the federal deficit by limiting programs such as Medicare. Others continue to call for turning Medicare into a voucher program, or increasing the age of eligibility, or continuing to income-base benefits cost-sharing. These approaches threaten the promise of Medicare as a program providing stable, uniform coverage to all its beneficiaries. Indeed, Medicare’s future as a public social insurance program with a uniform benefit and cost-sharing system has been whittled away during the last ten years. Medicare private plans (known as Medicare Advantage plans) were given increased funding and more market-share during the Bush Administration. In 2003 the Part D prescription drug benefit was initiated only through private plans. Part B and D cost-sharing mechanisms are increasingly based on the individual’s income. All this has eroded the single community of interest among all beneficiaries, rich, poor, healthy, or infirm, that has kept Medicare strong. So, while celebrating Medicare, we also urge vigilance lest we inadvertently return to the circumstances before Medicare – when so many older and disabled people could not obtain health insurance. Our goal is to keep Medicare’s promise to provide fair access to health care through a stable, unified program. In this way we can help ensure that Medicare’s 45th anniversary will mark its grand maturity, not its mid-life crisis. Medicare’s 45th Anniversary from President Obama and HHS Secretary Sebelius: www.Medicare.gov; www.whitehouse.gov ! The new health reform law encourages states to create or expand existing state high-risk pools as one of the first steps towards insurance market reform and increasing access to health care for people who would not otherwise be able to obtain health insurance. State high risk pools can provide insurance, for example, for people who are receiving Social Security disability benefits but who are in the 24-month waiting period for Medicare. Citing objections to a “federal takeover” of health care, Georgia’s Insurance Commissioner, John Oxendine, has announced that Georgia will not establish a high-risk pool for its residents with pre-existing conditions. The irony is that the health reform law also provides for the establishment of a federal high risk pool for uninsured people with pre-existing conditions that live in states that don’t have their own risk pool. So, by deciding that Georgia won’t establish its own program, Commissioner Oxendine is guaranteeing a “federal takeover” of health care – Georgia residents who can’t otherwise get insurance will only have the option of insurance through a federal, not state, program.